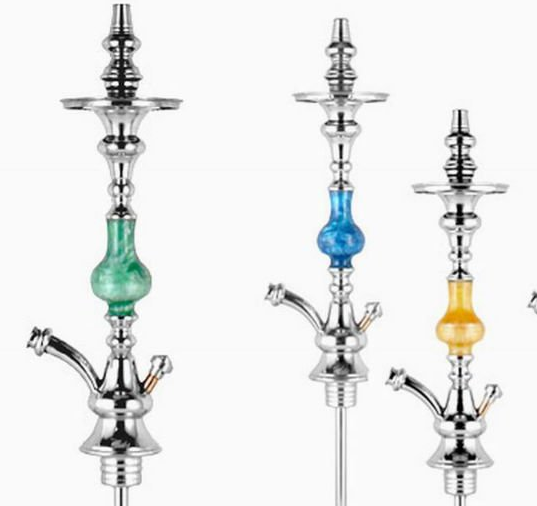 Khalil Mamoon Hookahs: Manufactured in Egypt, shipped to your doorstep from USA. Are you interested in buying a Khalil Mamoon Hookah? Beware of fake Khalil Mamoon Hookahs in the market. Here at Khalil Mamoon we only offer you genuine Khalil Mamoon Products at prices that won’t be found anywhere else. 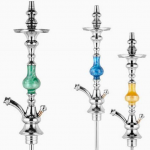 We have the widest selection of Khalil Mamoon Shishas in the USA. All Khalil Mamoon Hookhas are hand crafted in Egypt with steel stems that are fusion welded to perfection and Glass Vases that are hand painted!